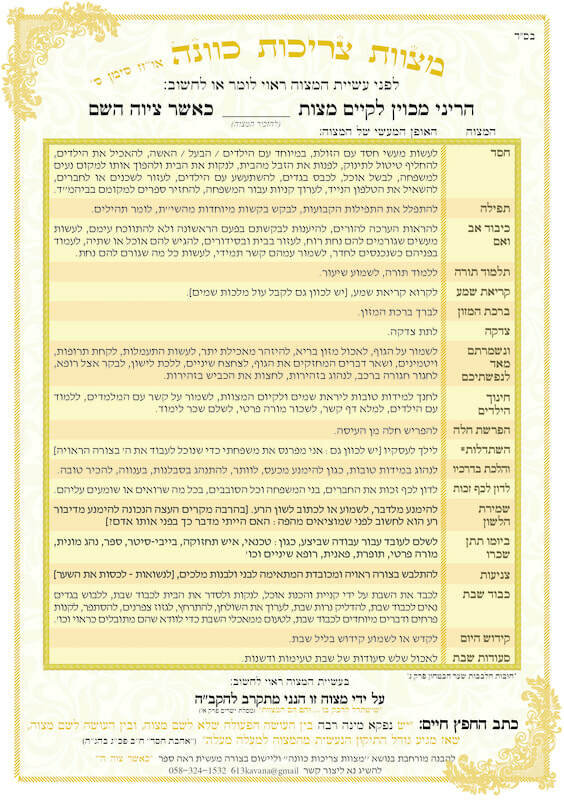 Below are our Kavanah Kards that improve every single mitzvah you do. 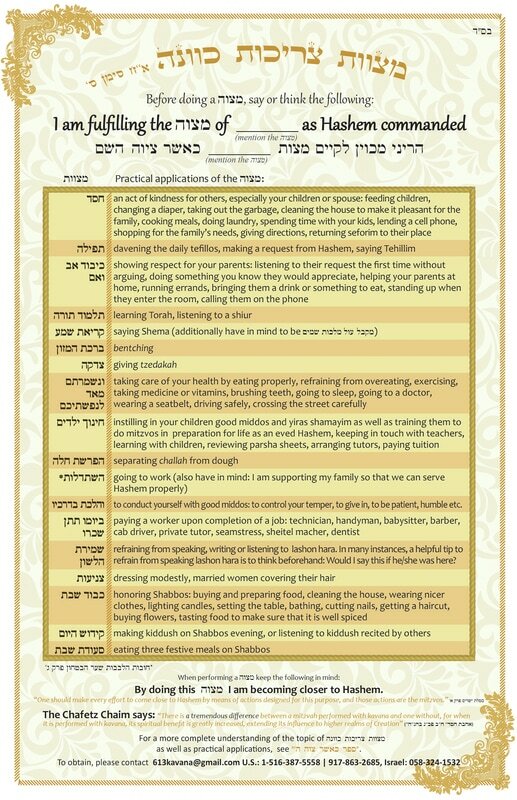 It is the chart with Overview of a vitally important but little known or done mitzvah. 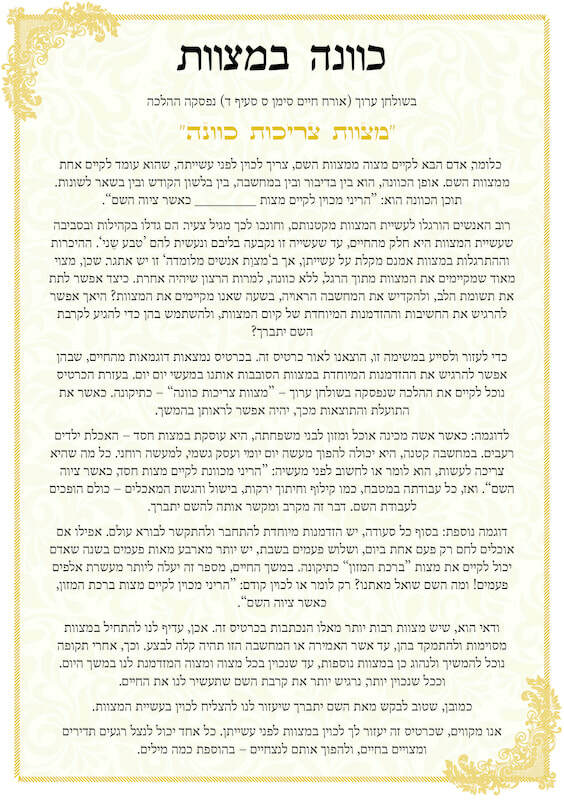 The הלכה is that one should have the intent before fulfilling a מצוה that "I am fulfilling this מצוה as Hashem commanded". 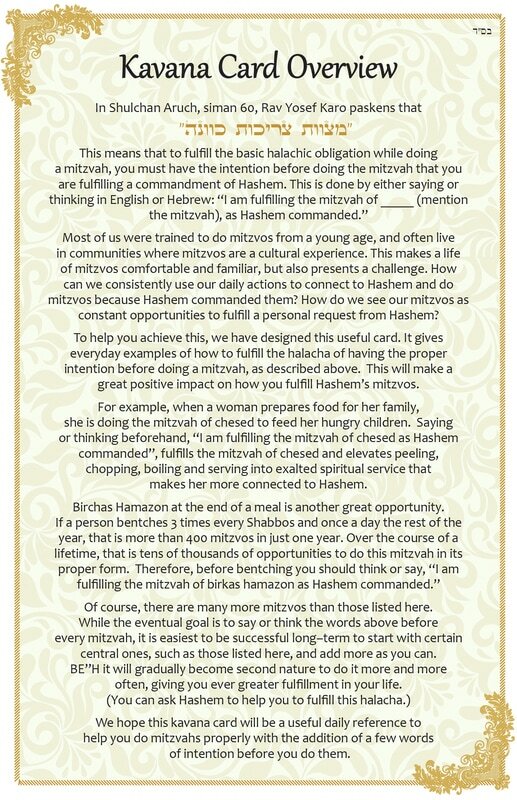 By having this intent beforehand, you can fulfill (be מקיים) the מצוה properly, and additionally become closer to Hashem, which is our purpose on this world. 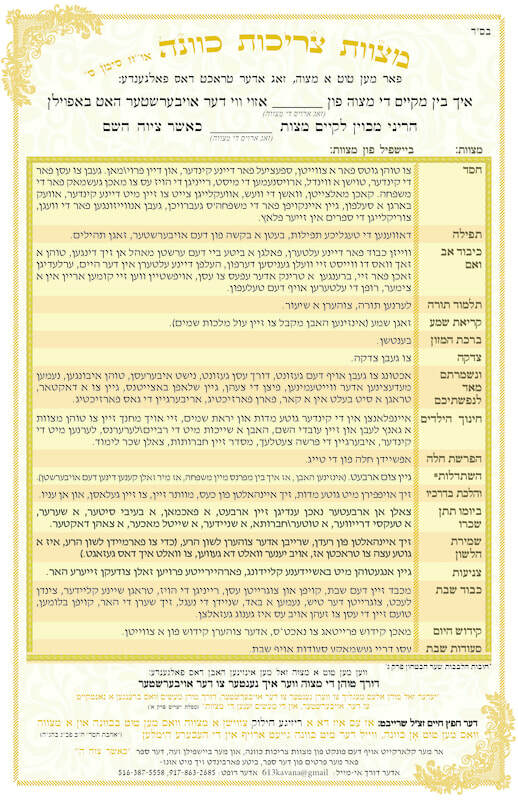 The chart is based on this sefer by Rabbi Daniel Garfinkel The sefer is a hands-on guide on how to practically apply the הלכה of מצוות צריכות כוונה . 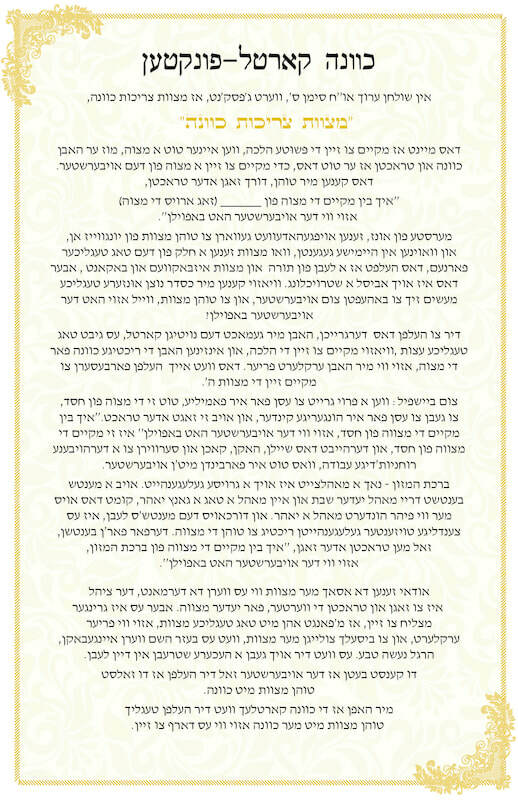 If the sefer is not available in your local bookstore, you can get it by emailing: 613kavana@gmail.com, or by calling In the US, 1-917-863-2685 or 1-917-207-0488.